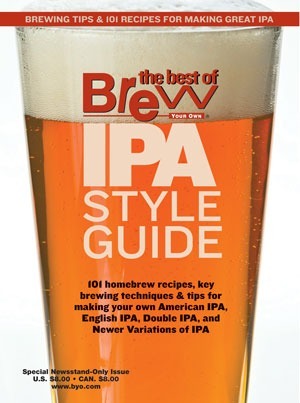 This recipe is for utilizing fresh hop (wet hop) Cascade hops…in abundance. Bombay After Dark (5 gallons/19 L, all-grain) OG = 1.070 FG = 1.018 IBU = 49 SRM = 27 ABV = 7.1% Ingredients 11.5 lbs. (5.2 kg) 2-row pale malt 1 lb.